Shadows will do anything to become human. You see their influence every day. You say things you don't mean or do things that aren't like you. You look...different. Friends you've known forever suddenly never call. As a freshman, Roxie just wants to fit in, which is impossible because she barely runs into her friends at her huge high school. Adrianne's disappearance and Hayden's attention rock Roxie's world. But nothing rocks it like the most gorgeous guy at school, Drew. And nothing is more important to Roxie than astral projecting back to Planet Popular to solve the mystery of the map. But that changes when Drew invites Roxie to homecoming. Hayden warns her that something's wrong. Why would a guy like Drew like Roxie anyway? Drew must want something. Hayden's right. Drew is...different. Planet Popular was just the beginning. Part of a bigger world, the Shadow World. 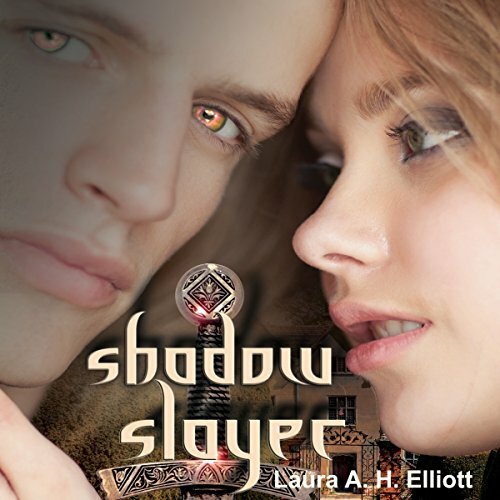 There's a war brewing between the world of humans and the world of shadows. When the shadow invasion begins at Roxie's high school, she'll not only fight for her life but the lives of her family and friends, when she discovers she's the Shadow Slayer, the one human who can save Earth from the shadow onslaught. But Roxie can't even kill a spider. Oh yeah, there's an evil English teacher, an enchanted play, a sword of Sandonian steel, a homecoming of horrors, and seven magic words, too.